He's back! Arnold Schwarzenegger recently had to undergo open heart surgery, which had many of his fans rather worried. 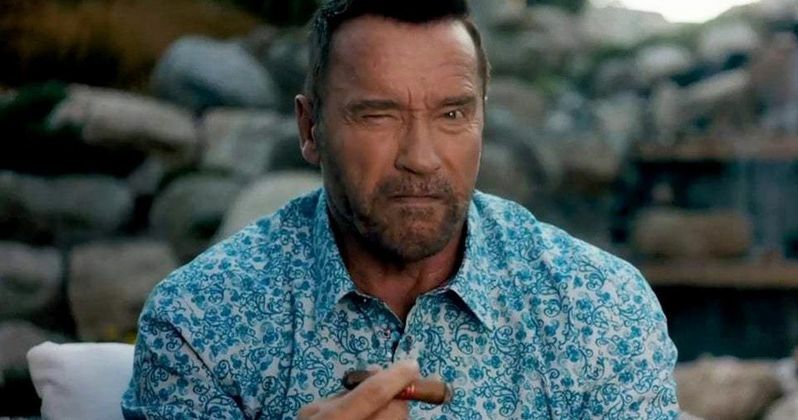 Not to fear though, as the former governor of California and one of the biggest action movie stars to ever live is back on his feet and feeling good. Schwarzenegger made the announcement in a tweet over the weekend that not only let everyone know he's doing just fine, but it even included a little nod to one of his most famous lines from one of his best movies. James Cameron's The Terminator helped put Arnold Schwarzenegger on the map and it includes arguably his most famous line, "I'll be back." The 70-year-old star has always had a great deal of self-awareness and included a nod to that very line in his tweet, letting people know that he is indeed back. Here's what he had to say. "It's true: I'm back! I went to sleep expecting to wake up with a small incision and woke up with a big one, but guess what? I woke up, and that's something to be thankful for. Thank you to the doctors & nurses. And I'm truly filled with gratitude for all of the kind messages." Last week, Arnold Schwarzenegger went in to have doctors replace a heart valve that was originally replaced due to a congenital heart defect in 1997. The valve was never meant to be permanent and the condition wasn't pressing at the time, but he opted to have the surgery anyway. During the surgery, some complications arose which required an open-heart surgery team to come in. Reportedly, the surgery took several hours, but as we now know from the man himself, it went well. It's a little unclear how much recovery time Schwarzenegger is going to need before he can really get back to work, but he's got plenty of that on his plate once he's truly feeling like himself again. He will once again be returning to The Terminator franchise in director Tim Miller's Terminator 6, which begins filming this year and is being executive produced by James Cameron. There's also his role in the upcoming Kung Fury movie and, though that cast hasn't been announced, it's expected that he'll return for The Expendables 4. Plus, there's the Twins sequel he's been talking about for years that legitimately seems close to happening now. Not to mention his speaking engagements and the many other projects the former bodybuilder turned superstar keeps himself busy with. Many fans took to Twitter to express their excitement and joy with the news, choosing appropriate gifs from some of his movies to indicate their feelings, ranging from his turn as Mr. Freeze in Batman and Robin to The Predator. One day, we're going to have to live in a world without Arnold Schwarzenegger in it. Luckily, that day doesn't appear to be coming soon. You can check out Arnold Schwarzenegger's Twitter post, as well as some of the fan responses, for yourself below.